I would like to take this opportunity to thank Red Button Publishing for sending me a Kindle review copy of the book, it is much appreciated! London in the spring of 2000: Chris Putnam, a young scientist working on the Human Genome Project, is grieving for the end of his first relationship and the loss of his deeply religious and estranged father. Then Chris falls in love and his twin brother goes missing. Events take Chris on a journey from the hallowed halls of scientific research via decadent art-scene parties and London’s Theatreland to the cold loneliness of a psychiatric hospital and ultimately to a desperate decision. What Chris discovers about himself and his world forces him to address his own nature, his own beliefs and his own reality. 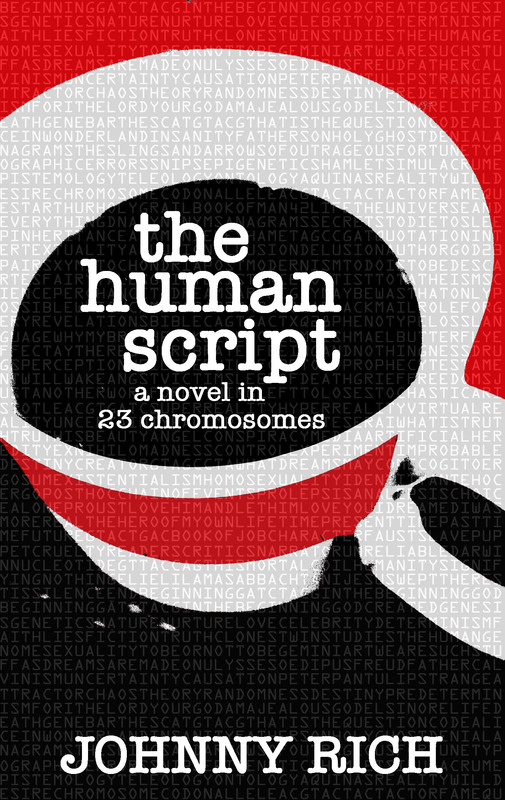 In The Human Script science, philosophy, literary theory and religion intertwine in a poignant and tragic love story that asks the question: what is it to be human? This book was deeply philosophical and also scientific in nature, and I became especially engrossed in it when I realised that it was about twins and the nature/nurture debate, and the differences in genetically identical siblings (as a triplet myself, I am always fascinated by this.) Do our genes dictate how we turn out? Or is it our environment that shapes who we are as people? And who or what has created us? Who controls our reality? In terms of literary achievement, this book ticks many boxes: a good plot, an engaging romance story, mystery and narrative experimentation. The protagonist, Chris Putnam, is a scientist, a lab assistant whose initial view of the world is one built on logic and evidence. I say initial, because as the novel goes on, his perceptions and thoughts begin to change as certain events unfold. What’s quite interesting is that the text is set in a scientific thesis form – i.e it actually includes footnotes. These don’t interrupt the flow of the book, in fact they give it an added depth, especially when you notice a sneaky footnote that changes the whole dynamic of the narrative – and no, I won’t tell you which it is. Read and use it properly. It’s very entertaining and far more satisfying than cheating! The human genome is a life written in a book where every word has been written before. A story endlessly rehearsed. Quotations cited and recited because once they were apt, the fittest to survive. The Human Script explores reality, morality, and religion. It is fascinating, especially in the context of Chris and Dan’s relationship as twin brothers. Dan Putnam is highly artistic, reckless, and confident. Chris is science and logic-driven and often extremely insecure. Their differences outweigh their similarities in many ways. Chris grew up stubborn and unrelenting about his scientific beliefs, especially his conviction that it is not God who dictates a person’s nature and lifestyle, and that it is in fact DNA and genes that determine them. This leads Chris to constantly question whether it is because of this that his relationship with his father was unable to be mended before his father died. Should he have been so steadfast and unmoving just because his religious father could not understand his life choices? Should he have put these differences aside for the sake of more important things? With the loss of his father as a trigger point, Chris begins to doubt the world around him and, more specifically, the nature of his reality. Is his belief system actually right? Or has he been closed-minded over the years? How do I prove my father is not at his desk behind the door and if I open it I… Experiments and observations demonstrate what is, not what is not. How do I prove my father’s dead or that there are no such things as ghosts or souls or God? Just because something isn’t real, does that mean it doesn’t exist? Even a projection of the mind is a kind of existence. Thoughts have physics – the electro-chemical floods and pulses that wash around the brain. Ghosts are real in their own way, but not independent of those who see them. One slight concern I had about three quarters of the way through the book was that the philosophical questions and passages were beginning to feel a bit heavy. I do feel like the book would have done just as well if it contained fewer of these type of passages, especially at the times when I felt that the narrative began to repeat its musings over and over again just in different wording. However, this didn’t last long and once I powered through that I realised that these musings and philosophical explorations were woven into the story well and served a good purpose. I could tell what value they added to the story as a whole, but it wouldn’t have suffered to perhaps tone it down a little. The fact that the narrator immerses the characters in the book among these philosophical musings – in fact, the author kind of uses them as ‘case studies’ within the text to test different hypotheses – makes the characters much more interesting and well-rounded as a result. I loved reading the relationship with Chris and his brother, and Chris and his boyfriend, and Chris and his room mate, and how these relationships are affected by the nature of their perceptions of the world. For instance, his room mate Elsi, who studies philosophy, has a tendency to advise and console Chris based on whichever philosophical theory she happens to agree with. His boyfriend Leo falls in love with him partially because he feels an innate need to look after and care for someone. Dan – for the most part carefree – worries less about consequences and more about enjoying living and advises his brother to do the same. Chris’ feelings and emotions towards the characters in his life are, initially if not consistently, based on his own tendencies to perceive the world as purely scientific, without a deity or higher force. Chris recognises that as identical twins, he and his brother are much like molecules in the river Thames – “Just molecules of water, two hydrogen atoms, once oxygen, and they’re all identical. Clones, differentiated only by their different places in the flow.” Essentially, Chris and Dan are genetically the same, but somehow somewhere in the ‘flow’ of life, they became so very different, and this novel shows his struggle to understand exactly why. Anyone interested in twins and multiple births will be so fascinated by this book. Because there’s freedom in the air, ‘Good morning’ I beam to Peter the old security guard who sits in his hut at the Gower Street gate and who once told me he still likes to fish at weekends and who looks up to see which person is bothering to talk to him. This alarmed me a little at first because I worried that the entire novel would be written in this vein and that I would get impatient very quickly. However, after the first chapter I soon got used to this unique narrative style and I found that this ebbs and flows as the text moves along. It calms down and introduces more pauses and more mainstream punctuation and I realised that the narrative style changes as Chris’ mood changes, a very clever and effective device in the novel’s storytelling. When he is feeling a particularly strong emotions, his grasp on order and rules lessens, and this is when the above narrative technique kicks in. At this point, as the novel opens, Chris is very happy, and it also comes back into play at times when he is also feeling very agitated or upset. I thought it worked incredibly well. Here I can understand why the novel was discovered and produced by Red Button Publishing, where it may not have been recognised for the great achievement that it is in a ‘Big 5’ mainstream publishing house. 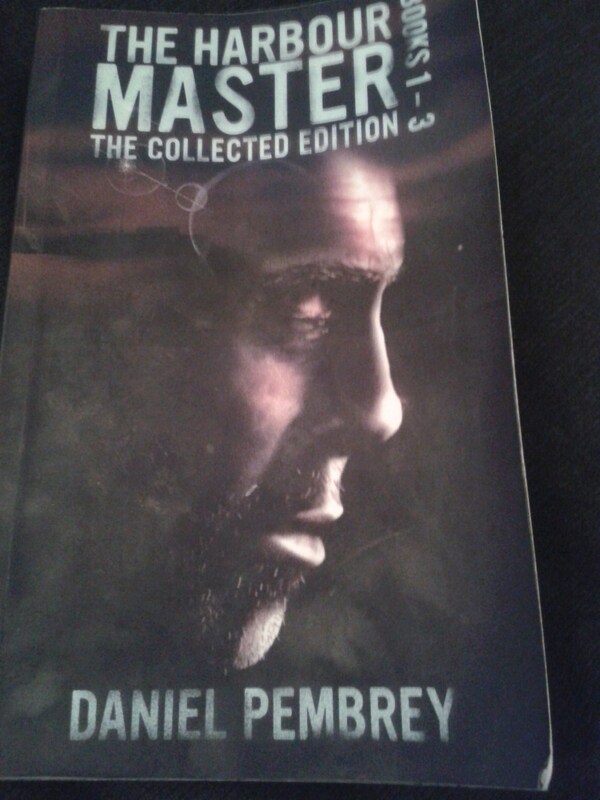 The book is incredibly clever and smart, and really made me think, while keeping me entertained to the end. The characters were engaging, and the plot was gripping. If you want to try something truly different and unique, I would highly recommend this book. I really enjoyed it. Click here to buy a digital copy of the book. I thoroughly, thoroughly enjoyed this book. Such a quick, heart-warming read. It’s one of those books that makes you sad that it’s ended. I glided through the book like a hot knife through butter: it was so easy to read and so entertaining, I devoured it in a couple of days. At first sight, Ove is almost certainly the grumpiest man you will ever meet. He thinks himself surrounded by idiots – joggers, neighbours who can’t reverse a trailer properly and shop assistants who talk in code. “Irresistible” is definitely correct. Ove’s grumpiness is irresistibly funny. Everybody has met an Ove, or has an Ove, in their lives. If you’ve ever worked in retail like I have, you almost certainly have come across one of Ove’s contemporaries. But this book gives such a refreshing angle on the subject. Yes, he’s grumpy. Yes, he has a temper and gets aggressive. But why? What has made him this way? What exactly is it that he has against the world? He knew very well that some people thought he was nothing but a grumpy old sod without any faith in people. But, to put it bluntly, that was because people had never given him reason to see it another way. Because a time comes in all men’s lives when they decide what sort of men they’re going to be: the kind that lets other people walk all over them, or not. This book will probably make you think again about anyone you’ve come across and thought, “What have I ever done to them to make them so grumpy?” A Man Called Ove asks the question: “What has the world done to them to make them so grumpy?” People are products of their environment and their pasts. Ove is an example of this. At the beginning of the book, I’d quite happily have given him a slap. 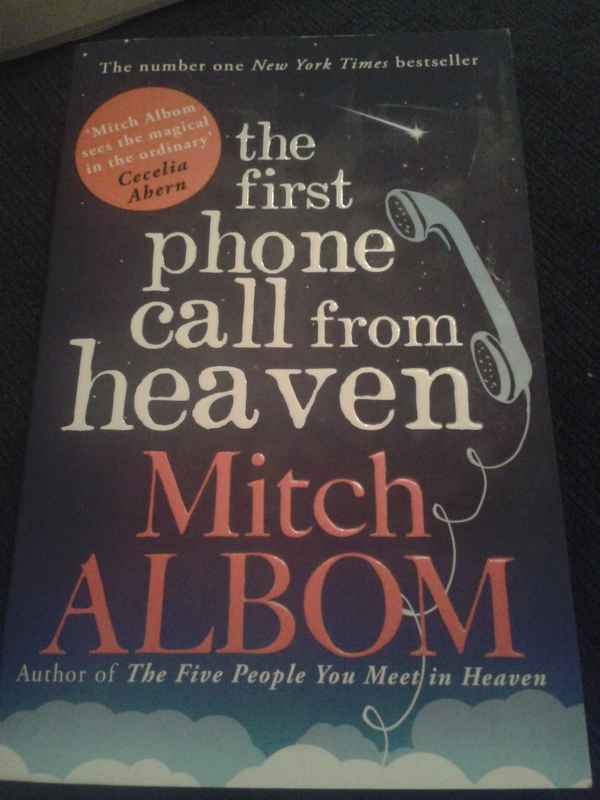 At the end of the book, all I wanted to do was hug the ‘grumpy old sod’ and tell him everything is going to be OK. The book is full of wonderful and funny characters – Jimmy, the overweight neighbour with a meaningful history intertwined with Ove’s, the family next door who take an unlikely shine to him; the young gay (or “bent”, as Ove so unashamedly describes him) teenager who Ove takes in and protects; the nasty and abusive young woman in high heels who terrorises Ove’s cat, and of course the cat itself, which Ove sees as a massive burden. The next-door neighbours Rune and Anita who are both his best friends and worst enemies, depending on what year it is. There is also of course Ove’s wife Sonja, and the way the narrative takes you on the journey of their marriage is unbelievably touching and sweet. But to Sonja, Ove was never dour and awkward and sharp-edged. To her, he was the slightly dishevelled pink flowers at their first dinner. He was his father’s slightly too tight-fighting brown suit across his broad, sad shoulders. He believed so strongly in things: justice and fair play and hard work and a world where right just had to be right. Not so one could get a medal or a diploma or a slap on the back for it, but just because that was how it was supposed to be. Not many men of his kind were made any more, Sonja had understood. Ove is a moral character – he believes in right and wrong, in working hard, in following rules, and not expecting too much or acting above one’s station. There is no room for compromise in his eyes. And today’s society is a disgrace. People don’t want to work any more. People don’t know how to look after themselves any more. He’s had to fend for himself and learn most things from scratch to get by. How can people nowadays be so idle and so incapable of understanding black and white and right and wrong? Ultimately, Ove is grumpy because of what is done to him. The world and its toughness and harshness shapes Ove into what he is. I won’t go into what happens to him in his life, as that would be a major spoiler. What I can tell you is that the story of his life is hilarious, sweet, tragic, heart-breaking, angering, touching. The story of his life, as so fantastically narrated by Fredrik Backman, justifies the grumpy-old-sodness that is Ove. And it makes the reader understand him and love him. Many of us have faced what Ove’s had to face at some point, but events have different effects on different people. But everywhere, sooner or later, he was stopped by men in white shirts and strict, smug expressions on their faces. And one couldn’t fight them. Not only did they have the state on their side, they were the state. The book is light on plot but heavy in character development, and it’s a perfect balance here. 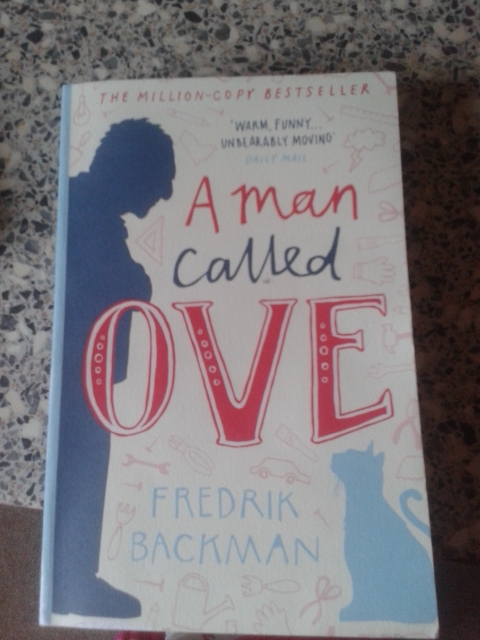 Some books need a very strong plot line to work, but I don’t think A Man Called Ove suffers because of this at all. It is funny and really tugs at your heartstrings. Ove and his neighbours are some of my favourite characters that I’ve read to date. I would recommend this book to absolutely anyone. Have you read this book? What did you think? Leave a comment in the box below! I’ve heard a lot about Tony Parsons, and always meant to read one of his books. I spotted this while shopping recently and thought I’d give it a try! One young family goes in search of their dreams. The Finn family – Tom, Tess and twins Rory and Keeva – leave broken Britain in search of a better life. Their destination is Hat Nai Yang beach, stretched along the south coast of Phuket, Thailand: an island paradise where the children swim with elephants, the gibbons sing love songs in the rainforest, the sea is like turquiose glass and a young family is free to grow. But paradise has a heart of darkness and disasters made by man and nature conspire to shatter the tropical idyll – and threaten to tear their family apart. 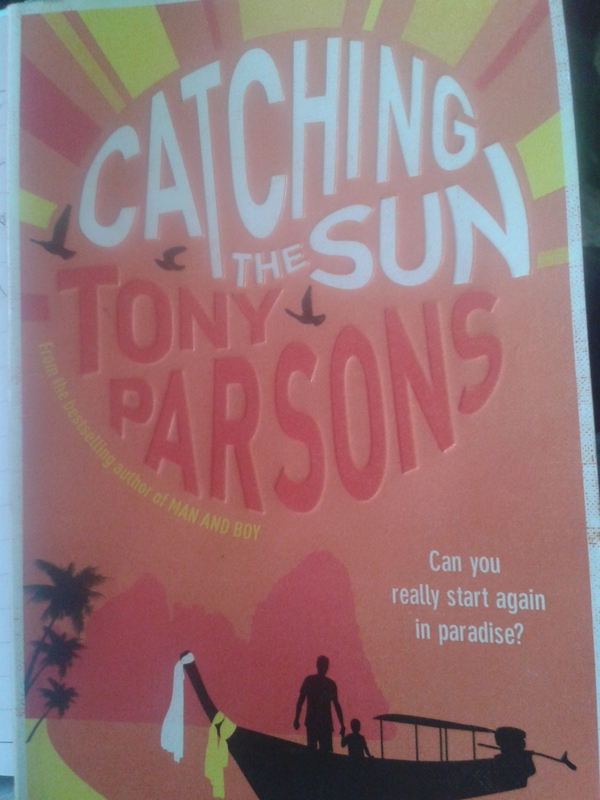 In a time of political tension and growing dissatisfaction with the state of Britain, it’s very easy for the reader to sympathise with Tom and his family for wishing to escape a country that they feel let down by and find “paradise” elsewhere. But that’s exactly the problem, and the main theme that runs throughout this book. For while the detailed and effective writing technique of Tony Parsons offers a stark contrast between the apparent ‘broken’ Britain and the stunning landscape of Thailand, it also highlights the unwelcome truth: nowhere is perfect. Not even the beautiful island of Phuket. You leave a country with one set of problems behind, but you can never go anywhere without encountering another. It’s a case of choosing between the lesser of two evils, a choice that will eventually come to Tom and his family. …somebody was howling with fear and rage and after a numb second, I realised that it was me. Because they were only fighting for all that stuff they had piled up in the back garden, while I was fighting for the woman and the two children upstairs. Tess is a typical (and perhaps for this reason, a little unoriginal) loyal and head-strong woman who shows unwavering love, support and understanding towards everyone in her life. Again, likeable and relatable. After a huge natural disaster threatens the lives of many people on the island, she spends her days on the beach giving out free bottles of water to passers-by, and continues to do this despite having to sit for hours in the boiling sun. Keeva, their daughter, is a sweet girl who understandably misses her friends and life back home, but soon settles in to her new life. Perhaps it is only Rory, Keeva’s twin brother, who really stands out as a character. 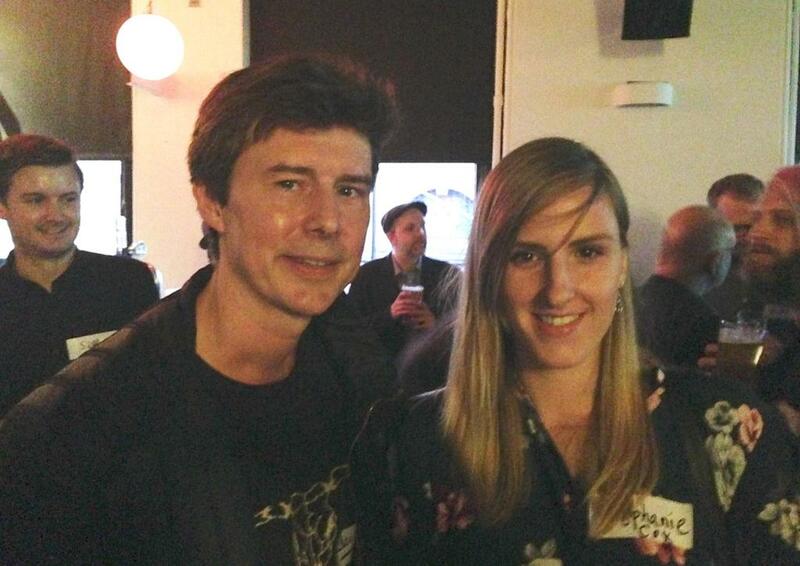 Rory is not instantly likeable, but I did feel drawn to him. He is complicated, and flawed. He cries often and easily, and is much weaker emotionally than his sister. He has an innate love and understanding for all animals, and is incredibly bright for his age. He is not a perfect character, but for this reason, he is far more interesting. Everything is very black and white for him; he is still at that stage in life where there are no moral grey areas. ‘They get it in the end,’ said Rory. I think at first, the book works to portray the concept of moving from Britain to Thailand in much the same, simplistic, right-and-wrong manner. Britain is bad, grey, tainted. Britain has let the family down. Thailand is gorgeous and sunny, a land of freedom and hope and a simpler, more holistic way of life. And I felt that for all the similarities that Farren saw between the British and the Thais, they had things that we did not. They were better at showing love to each other. As we move further into the book, however, we begin to see how life on the island affects the residents and perhaps, more importantly, how the residents affect the island. Prostitution is rife in Phuket. Businessmen take advantage of young women in bars and night life is far from pure. Of course in this book you get your stock bad characters such as Farren, the man who persuades Tom to move out to Thailand and routinely exploits working and residential laws in order to line his own pockets. However, there are also characters like Jesse, a man who works for Farren but slowly realises the error of his ways and behaviour. He rescues a gibbon which has been captured and forced to perform in bars, often being mistreated and maimed. This begins to open his eyes to the evil and corruption that takes place on the island – which is every bit as evil as anything that they’ve encountered in Britain. The book is rich in interesting characters, far more than I have time to sit to discuss in detail. Each play their own part in shaping the Finn family’s new lives and surroundings. However, it is ultimately down to the Finn family to evaluate their new home and how their lives were before, and find the right place in which they can live happily. I won’t give away how the book ends. That’s for you to find out yourselves. I definitely enjoyed the book, it was well-written, engaging, and had some good themes. Worth a shot and a fun, thoughtful, emotional read. However, I must admit that, especially compared to what I’ve read recently, it was a little bit forgettable in terms of plot. I finished reading it a couple of weeks ago and I struggled a little remembering the story whilst writing up this review (good job I take notes while reading!) I guess it just didn’t get me in the gut like some of the others. It’s a good book, but not outstanding in my opinion. However, it may well be in yours! Have you read the book? Please discuss with me in the comments below!